Who doesn't like Dresden Plates? 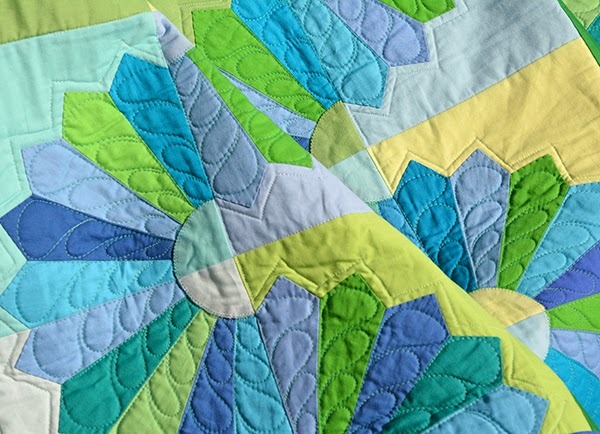 "Lollipop", which features lots of Dresdens set in "Slinky fashion", framed by appliqué circles on lollipop sticks, was another favorite quilt to sew for Color Essentials. Basically I grabbed all of the blue and green Kona solids I could find and was well on my way. 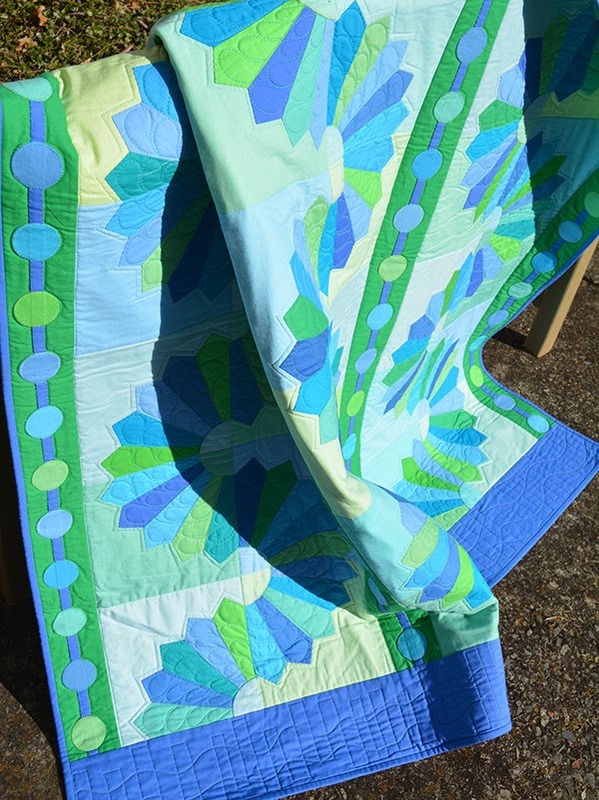 (Sewing with so many shades of blue and green was a hardship! Thanks, Robert Kaufman!) I appliquéd everything in matching shades of 28 wt. Aurifil thread. 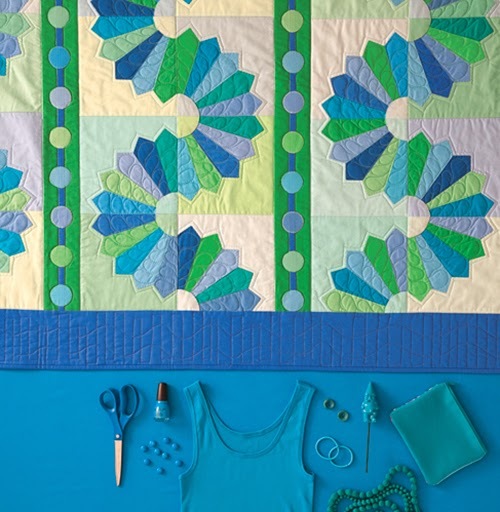 As with all the quilts in Color Essentials, there are other color ideas in the back of the directions for Lollipop. 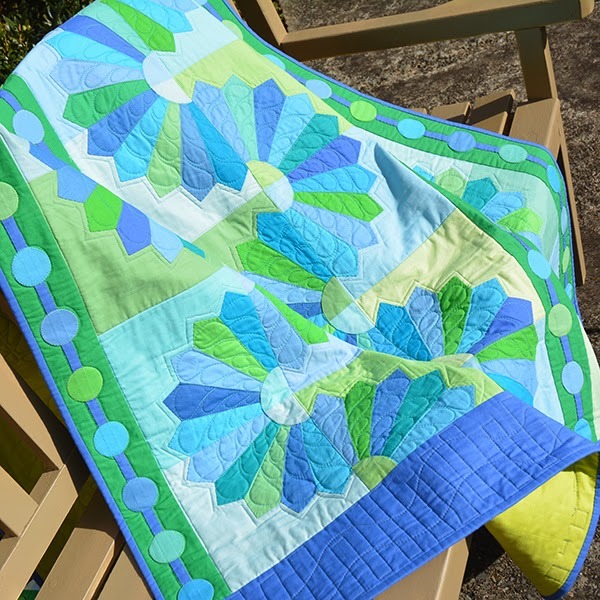 Don't forget to check out the Sew We Quilt Wake Up to Kona blog hop to see what everyone is doing with solids! Gorgeous! 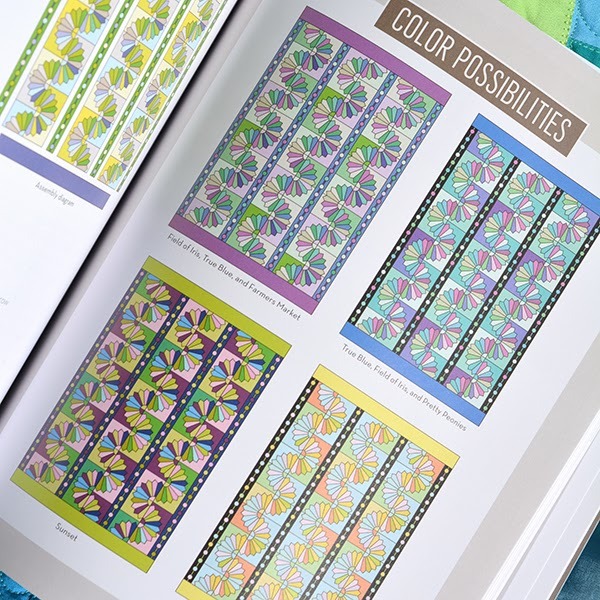 Your sense of color and design is awesome! Thanks for being such an incredible source of inspiration. It is interesting to see the variation of possibilities for that clever design. Oh no, not for me Amanda. Don't like Dresden's at all. HAHAHA KIDDING! 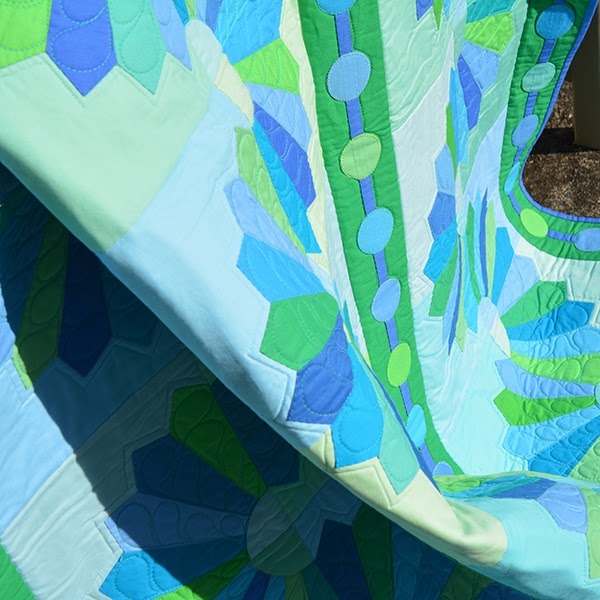 The Dresden quilts and awesomeness of them was the biggest reason for me to learn quilting. I LOVE Dresden Plates and yours always are so eye catching!